Banking on the technical expertise of our professionals, we manufacture, supply and export a quality tested array of Polyester Yarn Fabric Tape. The Polyester Yarn Fabric Tape we offer is recommended by the clients for its safe use. 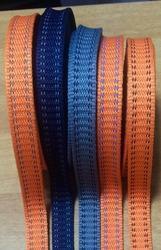 We are offering our clients a comprehensive range of Webbing Twill Tape. This is highly appreciated all over the nation for its excellent strength. It is designed by experts using high grade polyester in accordance with set industry norms. 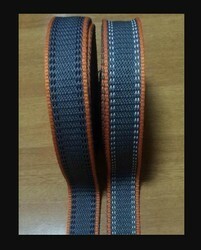 Available in diverse sizes, finishes and colors, we can also customize this tape on the basis of needs of our clients. We offer this to the client’s at the most reasonable rates. Being a leading organization of different kinds of tapes, we bring forth for our clients a wide range of Polyester Tape. The offered tapes are manufactured using high grade polyester by our team in compliance with set market standards with latest machines. These are widely demanded in the textile, furniture and footwear industry. Available in various finishes, colors and sizes to fulfill the wide needs of the clients, this can be availed at market leading prices. 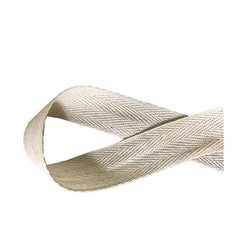 Owing to years of experience in domain, we offer extensive array of Footwear Upper Niwar Tape. Our product is highly recommended amongst the customers for their elegant designs. 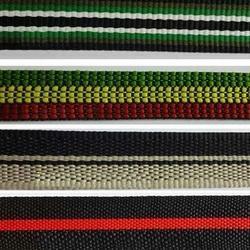 We offer Footwear Upper Niwar tape to our patrons in various color combinations and sizes. Moreover, our Footwear Upper Niwar tape is easy to wash.
We are a remarkable entity, engaged in offering a superior quality range of Polyester Tapes. This tape is manufactured in compliance with industry quality standards using premium quality materials with the help of contemporary machines. The offered tape is also tested on diverse quality parameters like durability, finish, strength, etc. It is highly demanded for use in bags. We offer this to the customers in different specifications at market leading rates. 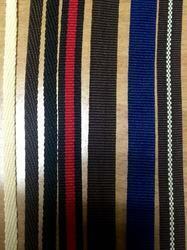 We are offering Polyester Tapes to our clients. 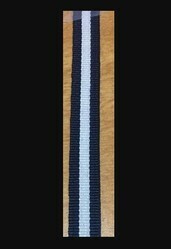 Backed by a team of highly skilled professionals, we manufacture and supply a varied range of tapes. We are offering Niwar Tape to our clients. Backed by a team of highly skilled professionals, we manufacture and supply a varied range of tapes in varied sizes and dimensions as per the requirements of our clients. Best quality polyester tapes. Application Use Label printing, Garment accessory,Bags, etc. Being a leading organization in this domain, we are offering our clients Grey Polyester Tapes. This is manufactured in our advanced production unit using high-quality polyester. It is highly demanded in industries like chemical, food processing, furniture packaging, textile, and footwear industry packaging purposes. Available in diverse lengths, thicknesses, and colors, we offer this to the customers at a cost-effective price. As per the international industry standards, we offer a comprehensive range of Polyester Yarn Fabric Tape. Our product is available in different sizes and colors. The offered Polyester Yarn Fabric Tape is easy to wash and used for manufacturing clothes in various industries. 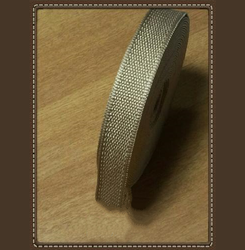 Moreover, we offer high-grade quality Polyester Yarn Fabric tape to our patrons. To match up the varying demands of the customers, we offer an extensive range of Footwear Upper Niwar. 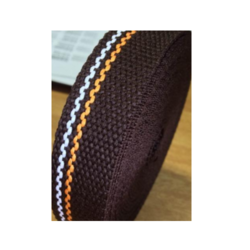 Customers like our Polyester Yarn Fabric Tape for their shrinkage resistant nature and usability in various places. 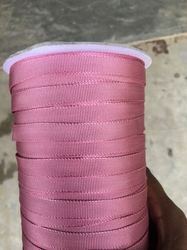 We offer Polyester Yarn Fabric Tape to our patrons as per their needs in order to satisfy them. Moreover, our product is easy to wash.
We are offering Polyester Tapes to our clients. Backed by a team of highly skilled professionals, we manufacture and supply a varied range of tapes in varied sizes and dimensions as per the requirements of our clients. We are a remarkable entity, engaged in offering a superior quality range of Polyester Yarn Fabric Tape. 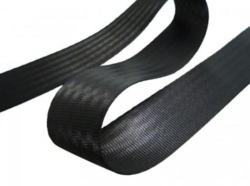 This tape is manufactured in compliance with industry quality standards using premium quality materials with the help of contemporary machines. The offered tape is also tested on diverse quality parameters like durability, finish, strength, etc. It is highly demanded for use in bags. We offer this to the customers in different specifications at market leading rates. We are offering Upper Niwar to our clients. Backed by a team of highly skilled professionals, we manufacture and supply a varied range of tapes in varied sizes and dimensions as per the requirements of our clients. 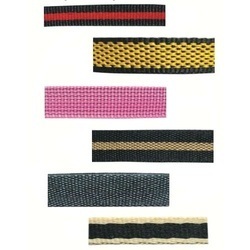 We are a remarkable entity, engaged in offering a superior quality range of Sandal Upper Polyester Tape. This tape is manufactured in compliance with industry quality standards using premium quality materials with the help of contemporary machines. The offered tape is also tested on diverse quality parameters like durability, finish, strength, etc. It is highly demanded for use in bags. We offer this to the customers in different specifications at market leading rates. 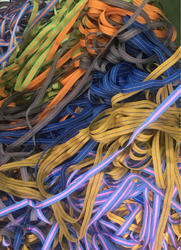 We are a remarkable entity, engaged in offering a superior quality range of Grosgrain Tape. This tape is manufactured in compliance with industry quality standards using premium quality materials with the help of contemporary machines. The offered tape is also tested on diverse quality parameters like durability, finish, strength, etc. It is highly demanded for use in bags. We offer this to the customers in different specifications at market leading rates. We are the reputed organisation of an extensive array of Garment tape. This tape is highly demanded in industries for safe packaging of different types of products. Manufactured by our team using the finest quality polyester in line with latest industry standards, this is acknowledged in market for soft texture. In order to ensure its quality and durability, this is tested on diverse quality parameters. 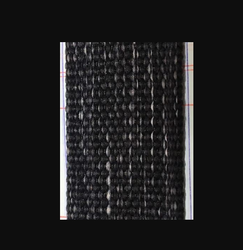 We have gained expertise in offering a quality tested array of Narrow Fabric Tape. 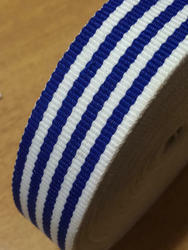 The Polyester Narrow Fabric Tape we offer is recommended by the clients for their precise use. Safe to use these products find it’s applications in garment industries. Besides, one can get these products in given time frame. We are a remarkable entity, engaged in offering a superior quality range of Niwar Multi Color. Yarn-dyed multi Color effect 100% colorfastness. Best suitable for sandle upper use and handle for luggage bags, any size design and quantity can be made against the order. We are a remarkable entity, engaged in offering a superior quality range of Niwar Tape. This tape is manufactured in compliance with industry quality standards using premium quality materials with the help of contemporary machines. Poly yarn dyed 1S grade, export quality. 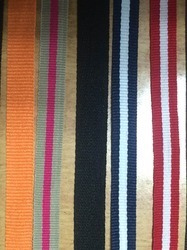 We are one of the leading organizations of high quality Polyester Belt. 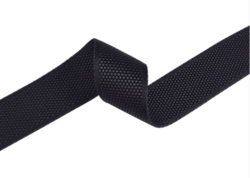 Manufactured from quality approved polyester with the help of advanced machines, the offered tape is widely used for packaging and sealing purposes in domestic places. It is available in diverse finishes, colors and thicknesses as per the specific needs of our clients. This is made available for our precious clients at industry leading price.